Need a manicure in minutes? My daughter decided at the LAST MINUTE that she wanted to go trick or treating this year. She did not want to wear her renaissance dress, and instead wanted to be a vampire! This was 30 minutes before the Halloween party the younger kids were attending. 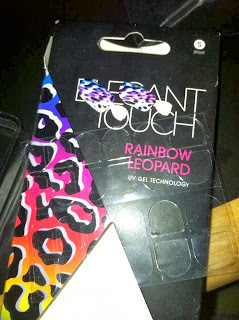 So, I pulled together an outfit, that was perfected by the Elegant Touch nails we received to review. 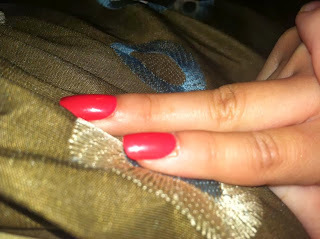 We did these nails in about 2 minutes, as they are VERY simple to put on, and my daughter LOVED them. 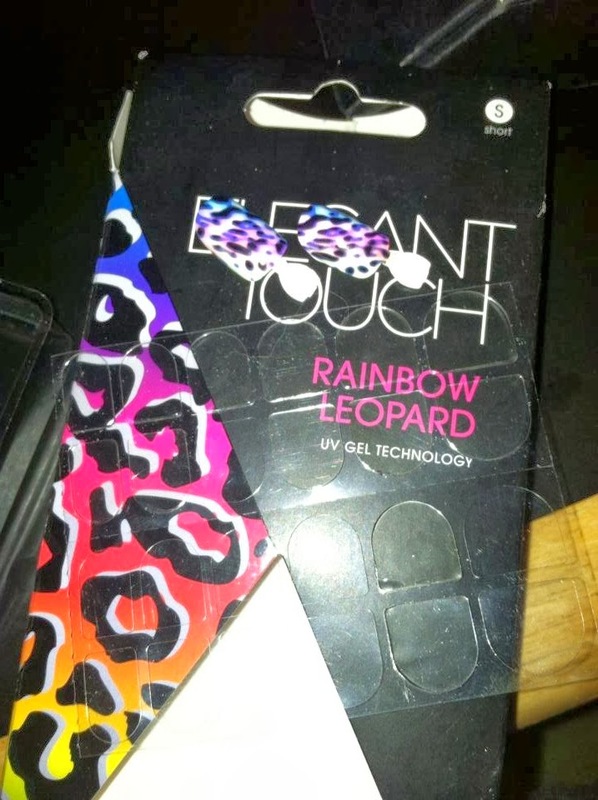 The best part is, they are sticky tabs as you can see below with these leopard rainbow print nails. They are easy to put on and easy to remove. She actually removed them all on her own. No mess was left on her nails, and it was perfect for the costume! A perfect manicure, in minutes, that you can change as often as you like without the mess--- PERFECTION!!! I personally prefer a French Manicure, and this set is a little more durable to the constant strain my nails our under! Typing, painting, cleaning-- my nails go through a LOT during the day. 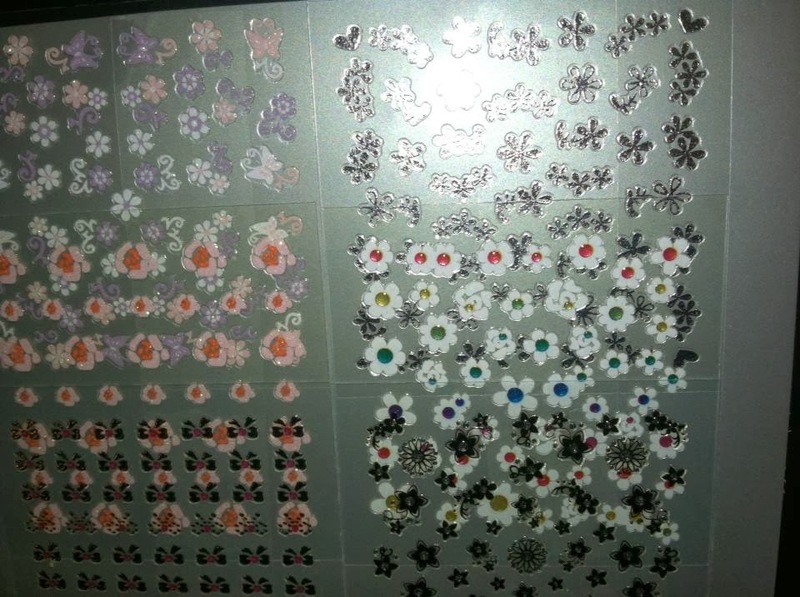 These attach with a glue, rather than the sticky tabs which makes they harder to removed, but allows them to last longer. 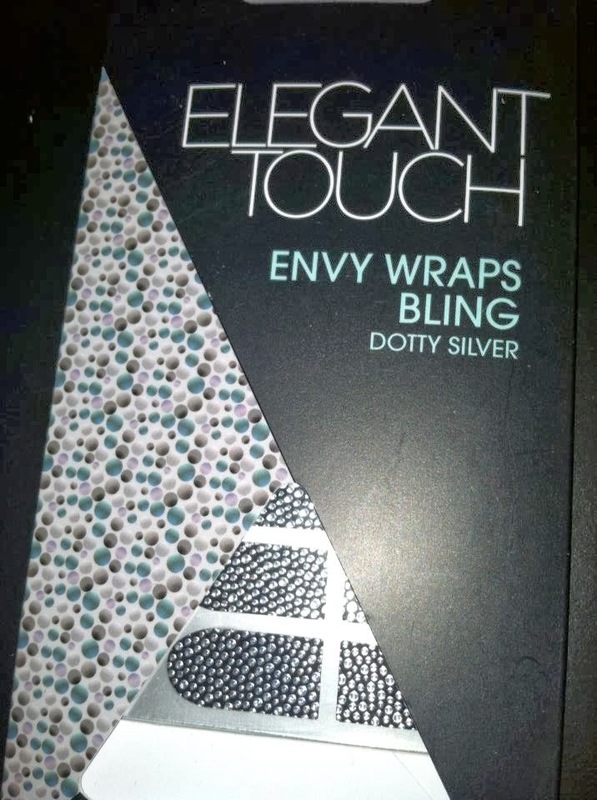 We also are loving their Envy Bling Wraps. These great designs are simply to apply in just minutes for a professional looking manicure. My daughter loved these nail decals. She is 3 and wants to do her nails when mom and her hold sister does. We always are adding things to our nails, and these were wonderful for her. 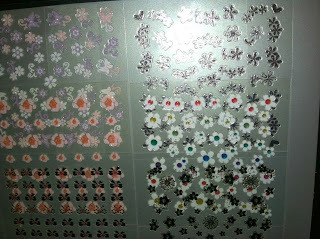 I especially liked using them on my toes (super cute!). MamaBreak received products to review. We did not receive any other type of compensation. As always, our experiences and opinions are our own.